After completing the series of games, unlocking all his shackles, and making it to the final room, William finds himself between the cell that holds Pamela and the cell that holds Tara and Brent. At this point we find that Pamela is William's sister, and Tara and Brent are the widow and son, respectively, of the man whose death William is facing litigation over. Tara and Brent find that they were merely being held in the cell waiting for William to arrive, and now that he is here, they are given a choice. If they choose, they can kill William in front of his family, just as their loved one was forced to die in front of them. Pamela and William must both plead and beg for mercy, which falls on deaf ears as Tara doesn't want to see anyone else have to die the way her husband did. However she cannot bring herself to kill William. Brent, however, can, and he causes a large grouping of needles to drop from the ceiling and pierce William's back, injecting him with enough hydrofluoric acid to turn him into a disgusting pile of goo and organs. In the control room of the building where the game has taken place, Jill incapacitates Hoffman. Through a series of flashbacks, it is revealed that the "five letters" were actually six, and the sixth letter was for Jill herself. 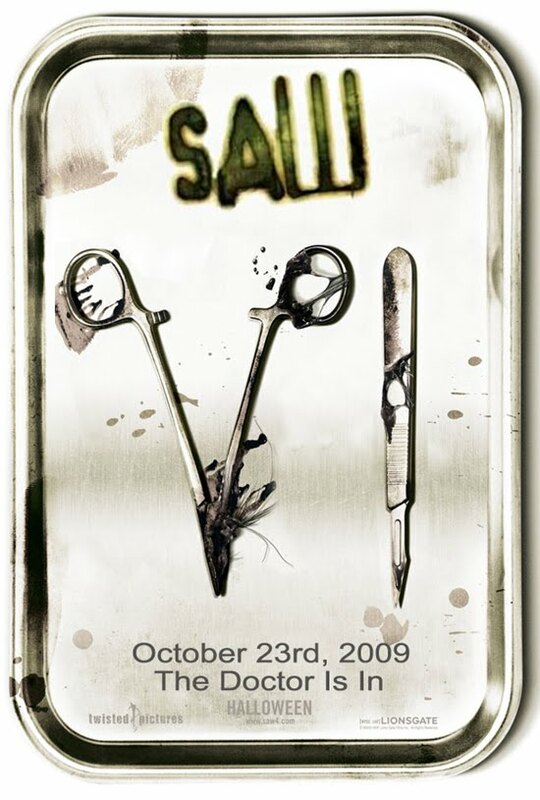 It is also shown that the fifth letter, to Amanda, was replaced with one written by Hoffman in which he blackmails her, threatening to reveal a role she's shown to have played in the death of John and Jill's baby son, to John unless Amanda kills Dr. Lynn Denton (in Saw III). 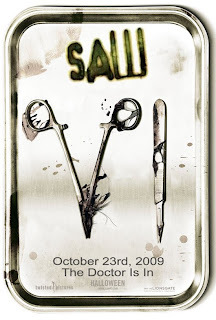 Since Amanda's test in this game was actually to refrain from killing Lynn, her game was sabotaged, and Hoffman arranged both Amanda's and John's death with one maneuver, ensuring he would emerge as the new Jigsaw without even having to face his own test. The sixth letter, for Jill, contains instructions from John to make sure that Hoffman faces his test and plays his game. A box for Jill contains the infamous "reverse bear trap" that Amanda had to escape from, and Jill locks Hoffman into it. However, Jill has her own axe to grind with Hoffman now, so she arranges for the game to be unwinnable: she straps Hoffman's wrists to the arms of the armchair he is sitting in, and leaves no key to the trap in the room; essentially leaving Hoffman to die. As Jill leaves, Hoffman struggles frantically in growing fear. Looking at his wrist restraints, he smashes his headset against his left hand, breaking his hand and allowing him to slip it free of the leather strap. He uses his left hand to free his right hand and get out of the chair. However, the key to the device wasn't left for him and he can't pull it off his head. With a mere few precious seconds left before the device springs open and rips his jaw off, Hoffman smashes his head through the small window in the door to the control room, which blocks the device from springing open. This buys Hoffman enough time to use the metal bit in his mouth to rip his cheek and the corner of his mouth, so he can slide the bit out of his mouth altogether and finally free his head from the trap. Hoffman throws the trap aside and screams loudly; blood freely flowing from his wound. Although badly injured, he has defeated Jill and survived his game, thus passing the test he tried to avoid and establishing himself as worthy to inherit the legacy of Jigsaw.